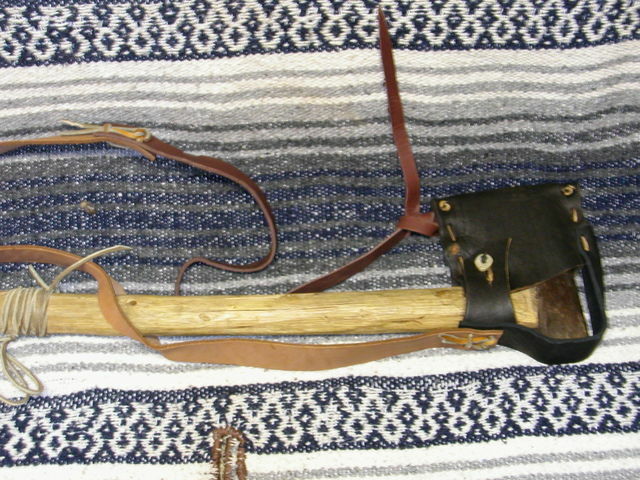 Took a few pictures of my bow drill and setup for drilling antler buttons and thought I would share them. 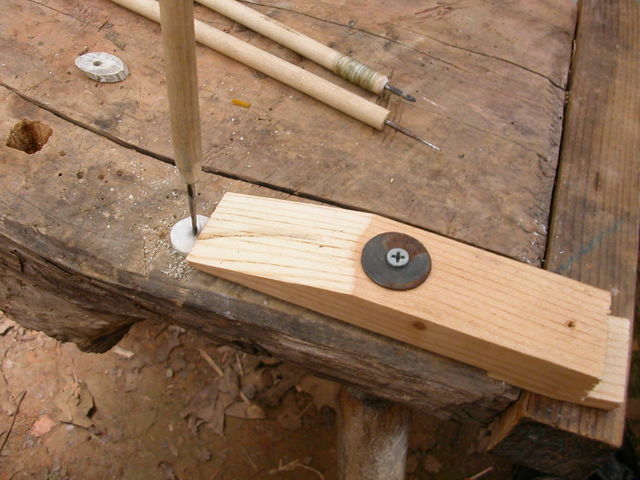 Work bench – Bottom right is a wedge vise I use to hold the antler slices down while drilling. 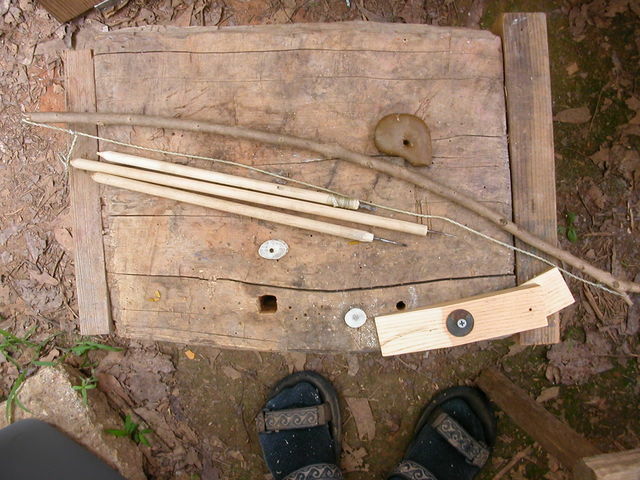 Top right is a stone that may have been used for either drilling or fire starting as the hole in the middle is tapered on both sides. It works great to hold the rotating shaft holding the bit. I put just a little bees wax on the shaft end for lube. Next down is the bow. Privet branch that I didn’t even bother trimming, broke it off to use 3 years or so ago and still works so why change now. 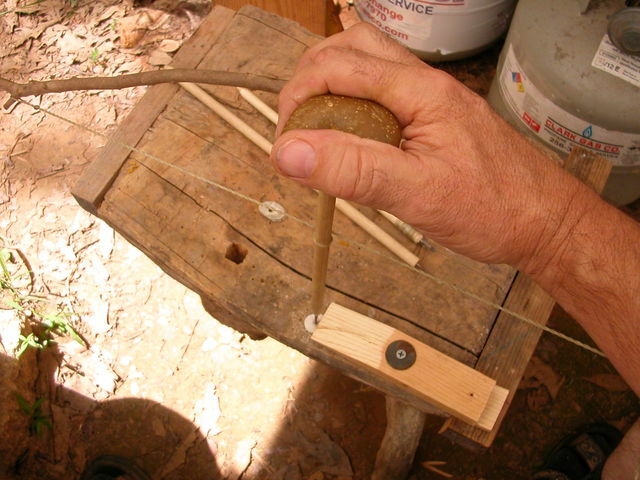 String is a length of artificial sinew doubled and twisted. Then there are 3 different sized bits on shafts. 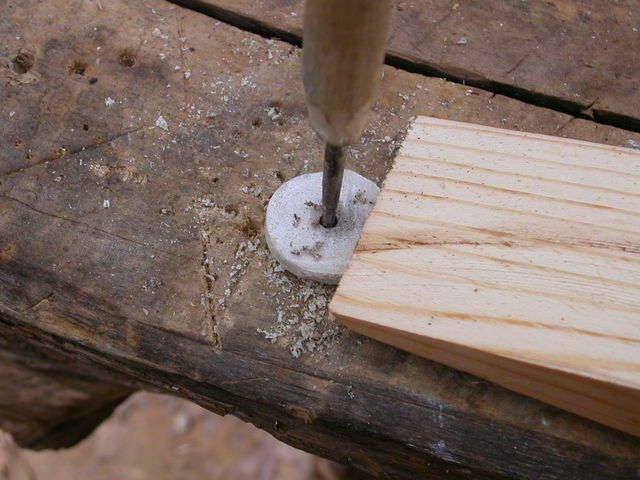 I cheated here and used store bought dowels. 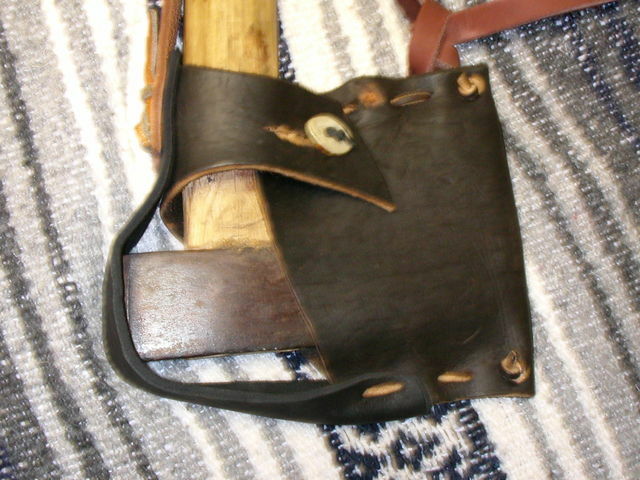 The wedge vice in use. 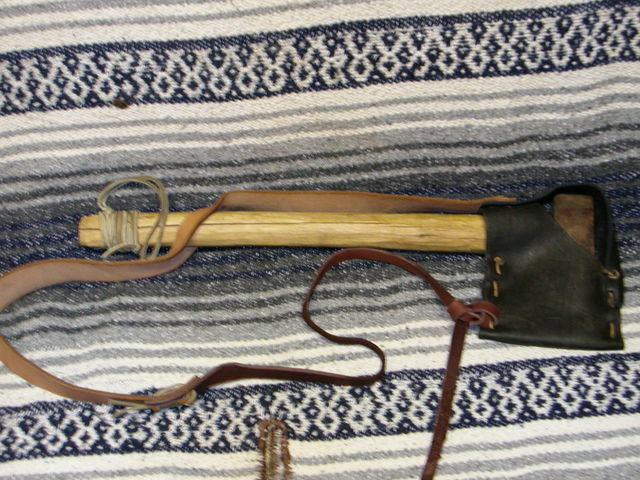 Antler slice is put under the left side and wedge is inserted under the other side. 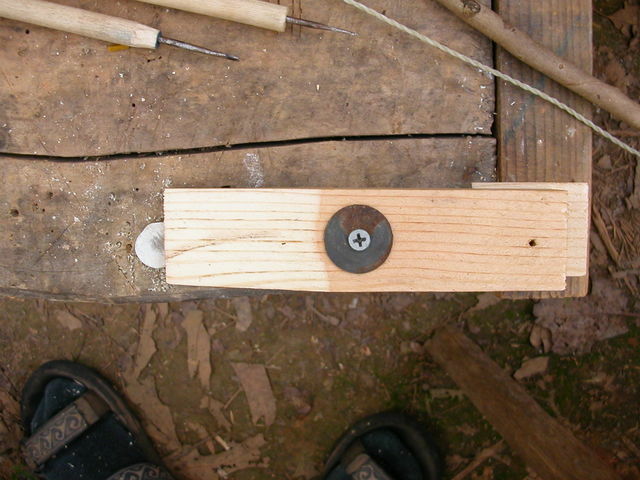 If I need to clamp a thicker piece the pivot screw in the center can be backed out to adjust the opening. Likewise a thicker wedge can be used. 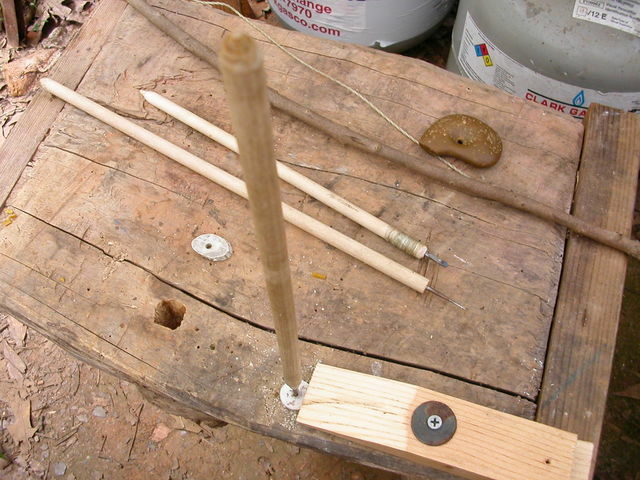 This is the basic setup for drilling. Normally you hold the stone in one hand and the bow in the other but it’s hard to hold the bow, pivot stone and take a picture with only 2 hands. 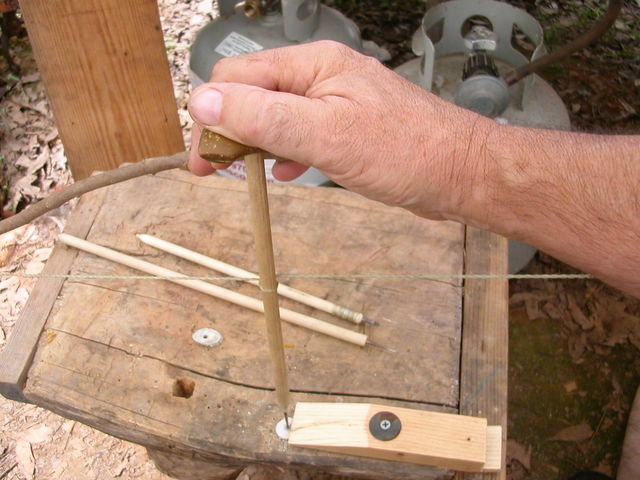 🙂 Bow string wraps around the shaft of the drill which tensions the bow and allows it to rotate the drill when moved in a sawing motion from side to side. As the bit turns in one direction and then the other as the bow moves back and forth the cutting edge of the bits are not sharpened at an angle like a standard drill bit is but are flat. They still have a point and around a 30 degree taper from the outside to the center. This picture gives a bit better view of the string wrapped around the shaft. And a closer view of the vise in action. Antler slice drilled through supporting the drill shaft. 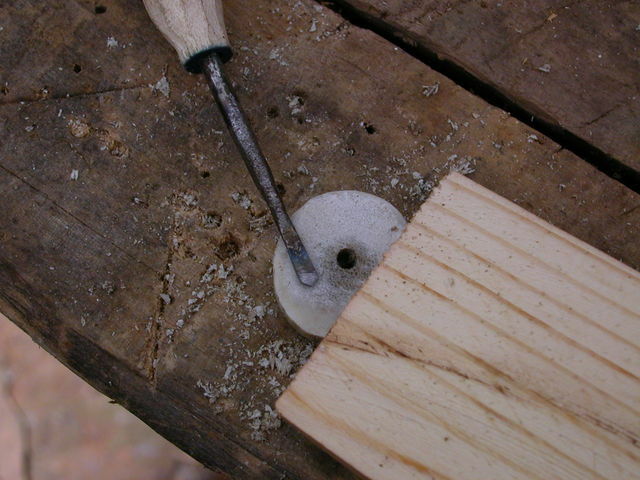 Closeup of the drilled slice. Bit removed from hole. You can see the taper from edge to center here. 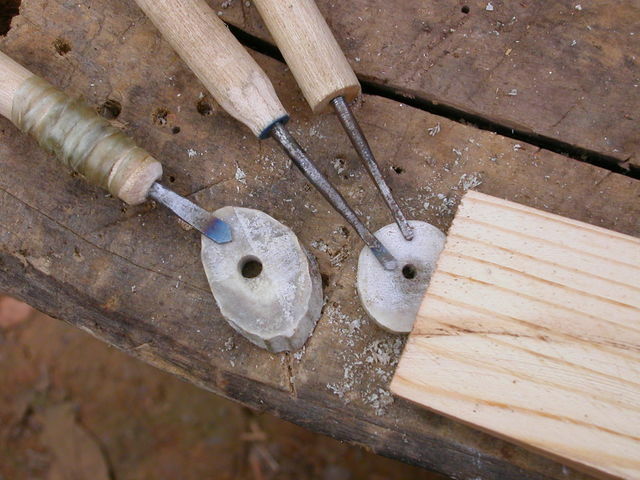 Three different sized bits and two different antler slices with different sized holes. I’ll post more later on making the bits. These 3 are all made out of coat hanger wire. End heated, pounded flat, ground or filed to shape and then reheated and quenched to harden. The temper color can be seen on the one to left of the above picture. Sherlock Holmes –> 125+ episodes, properly titled and tagged : smurfmeat : Free Download & Streaming : Internet Archive. More old radio shows. Good stuff! Hippie Roots & The Perennial Subculture – Hippyland. Most interesting read. Mildly NSFW. 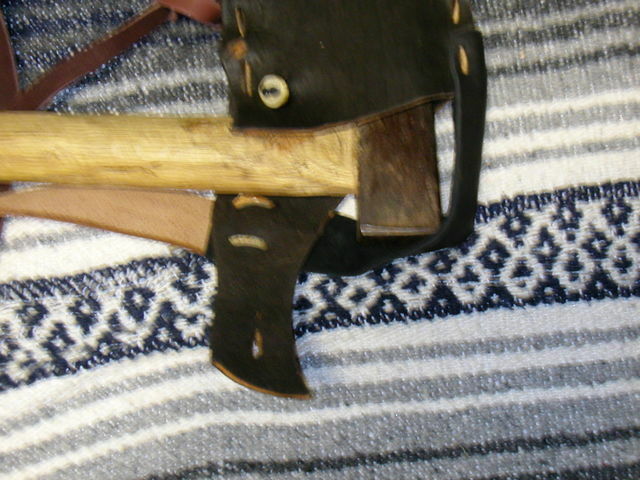 Seriously interesting Viking reenactment pictures, and LOTS of them!